Today, it is an effective non-surgical yet painless way to lessen the appearance of fine lines as well as deeper wrinkles. 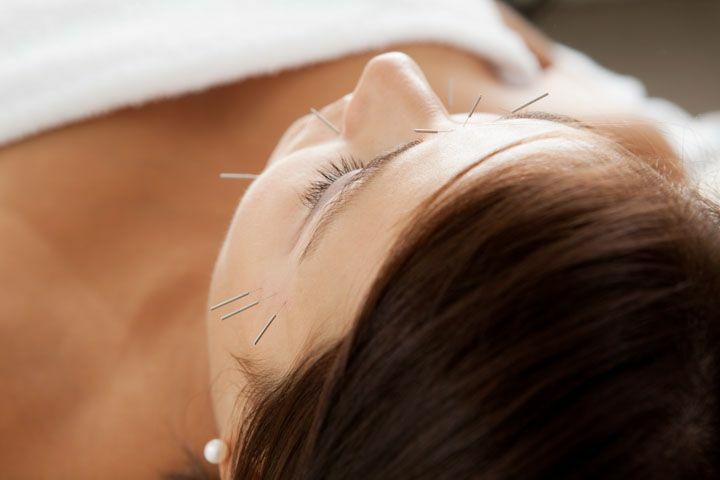 According to Chinese medicine, it improves circulation and stimulates the body’s natural anti-aging powers. Hair-thin needles are gently inserted into specific points on the face to facilitate the movement of blood and stimulate the production of collagen. This in turn nourishes, re-hydrates, tones and reduces the appearance of facial wrinkles. Additionally, specialized frequency-specific electrically stimulated needles improve skin elasticity as well as the tone of the facial muscles. Your skin will also have a more youthful glow.